It’s hard to believe it’s already been a year since TEFAF (The European Fine Art Fair) landed stateside in NY. 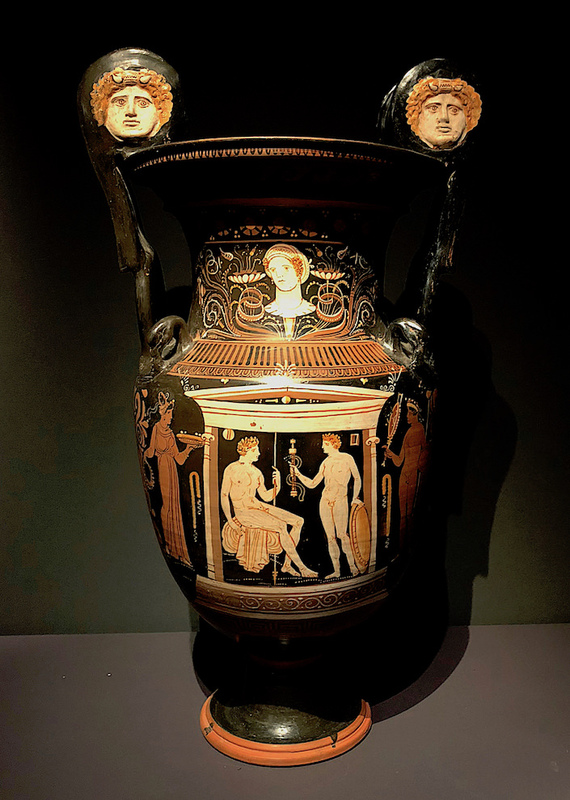 After two blockbuster showings in the fall and spring, this evening marked the Opening Night Reception (benefitting The Society of Memorial Sloan Kettering Cancer Center as well as the cultural programs produced by the Park Avenue Armory) of TEFAF New York Fall’s second edition. I stopped by the Armory, again elegantly transformed by Dutch designer Tom Postma, to catch a peek. 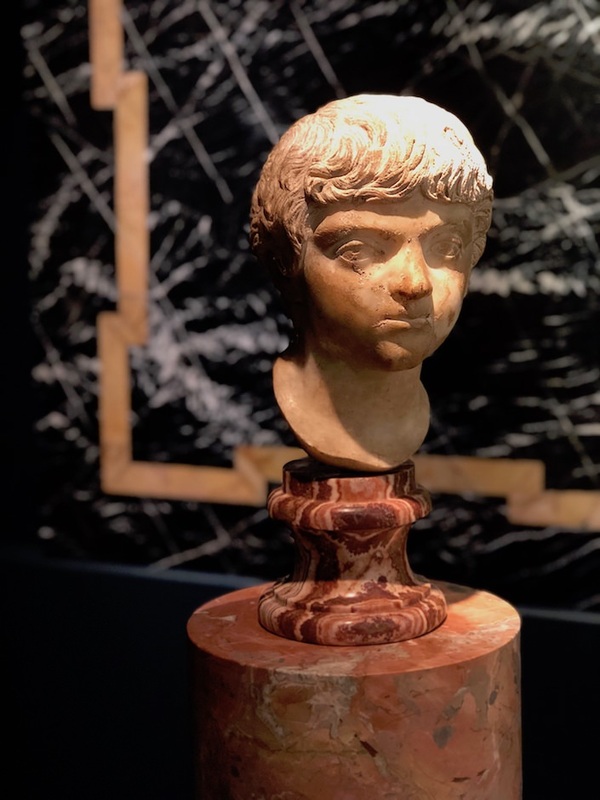 With a glamorous international group of attendees, Ruinart champagne stations and delicious snacks, it was a packed venue of collectors, interior designers, museum representatives, art connoisseurs and admirers. 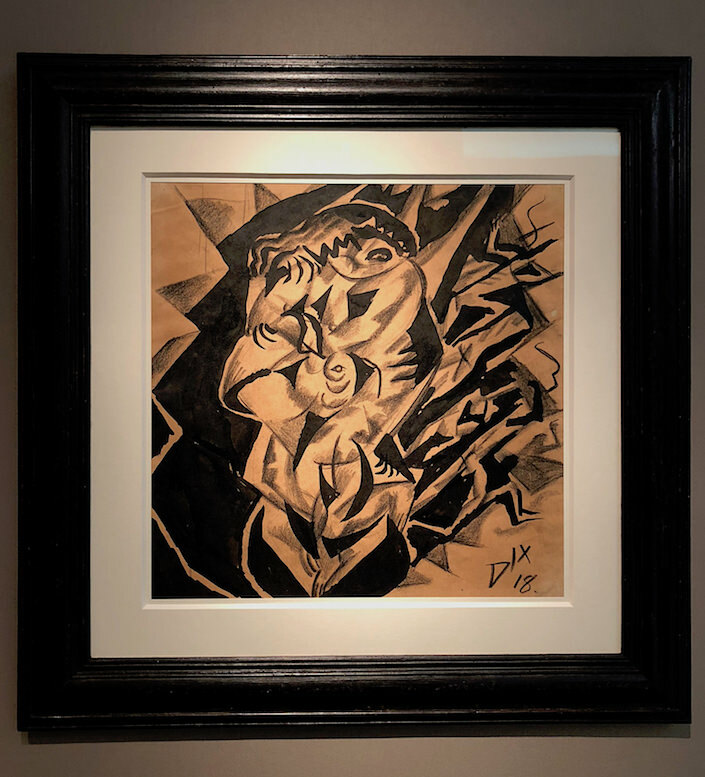 Throughout is an exquisite curated collection of fine and decorative art from antiquities, such as the Egyptian hieroglyphic fragment c. 2613-2181 BC from Charles Ede, above, to early 20th century masters, such as this 1918 Otto Dix from new TEFAF NY dealer Thomas Salis, below. with rather amazing detail in the volute. 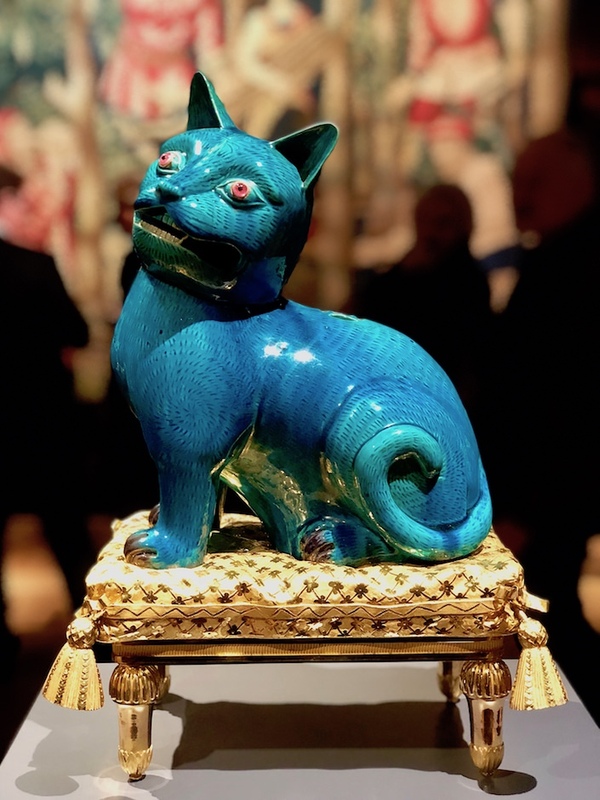 In Christophe de Quénetain‘s space you can see Madame de Pompadour’s Cat – a fantastical creation of 18th century Chinese porcelain on a French Louis XV ormoulu pillow. 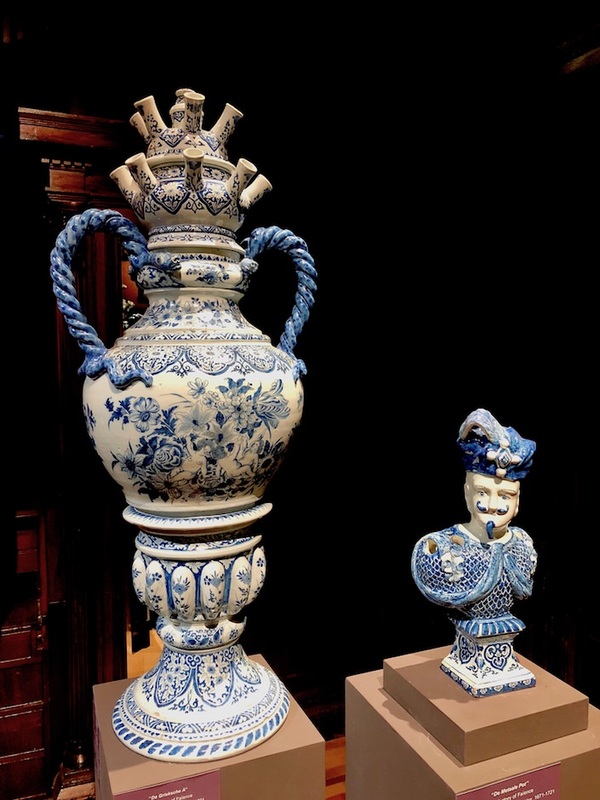 He is also showing a rare monumental (over three feet tall) late 17th c. Delft flower vase next to a smaller one in the likeness of a Sultan. 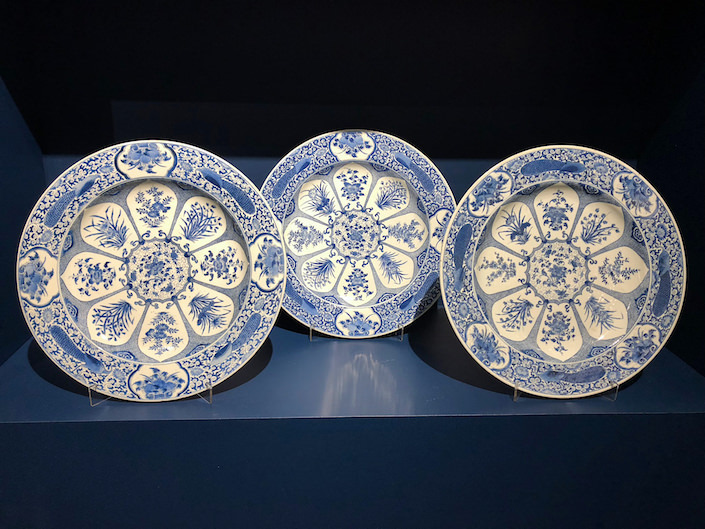 And from across the world, just a few years later in early 18th century China (1700-20), come this stunning set of eight large porcelain “Peacock” dishes, probably made for the export market, shown at Jorge Welsh. 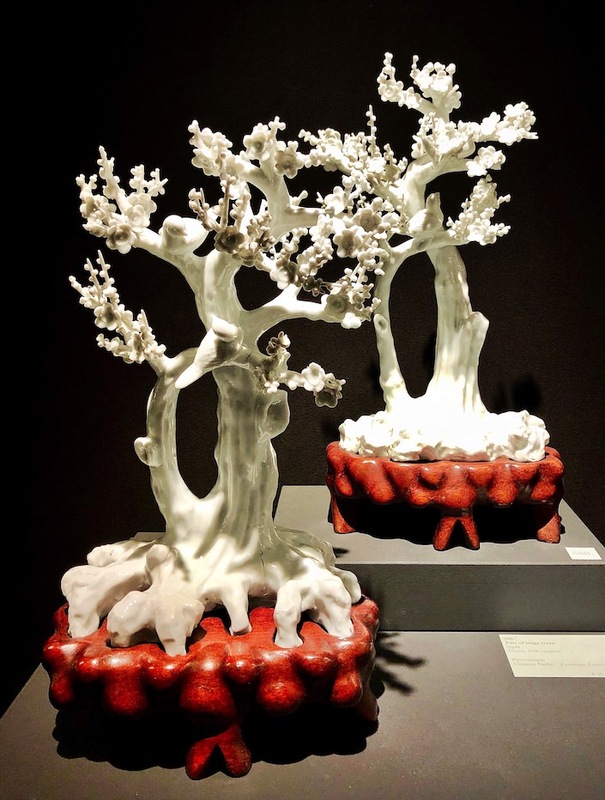 This pair of large 19th century Chinese trees from Vanderven Oriental Art stopped me in my tracks with their elegant, organic, yet bold appeal. 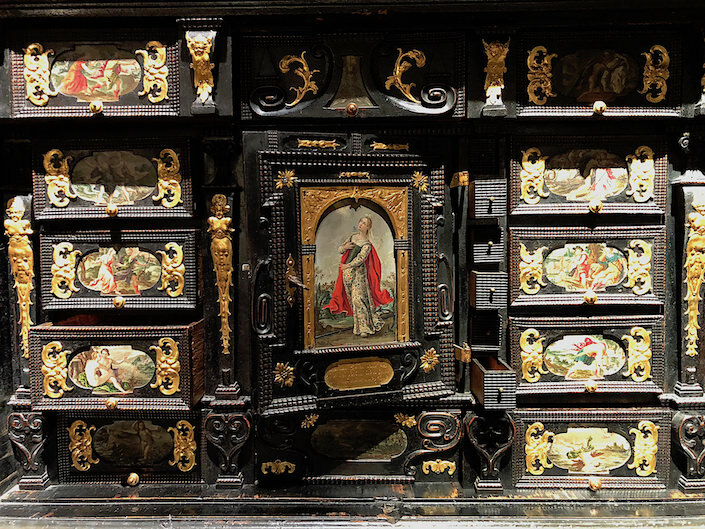 And it was hard not to stop by Kunstkammer Georg Laue to see the amazing details on this 17th century painted Fortuna cabinet, below. in its carving and individual painted scenes. While a longtime TEFAF Maastricht exhibitor, Galerie J. Kugel is a welcome new addition to TEFAF New York. 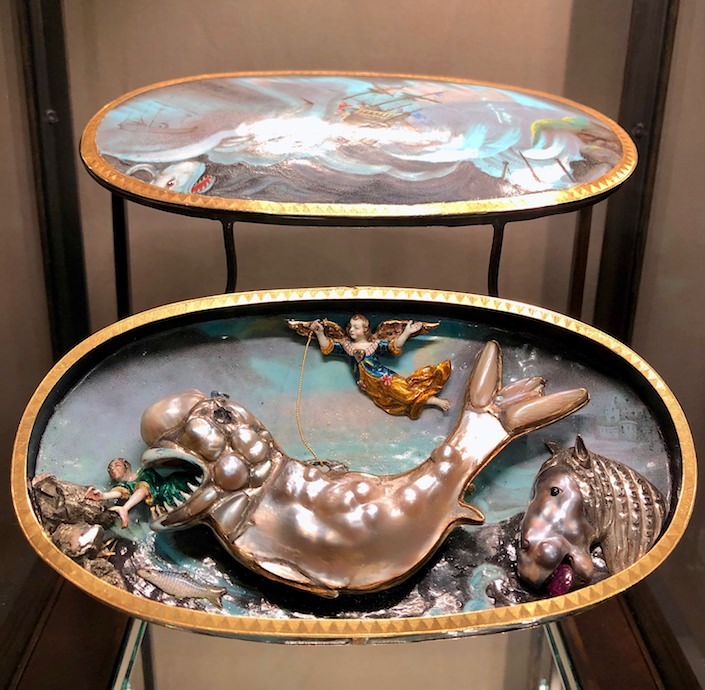 A favorite piece was this fantastic Jonah and the Whale 17th century casket of enameled gold, baroque pearls, diamonds, rubies, pyrite and silver. 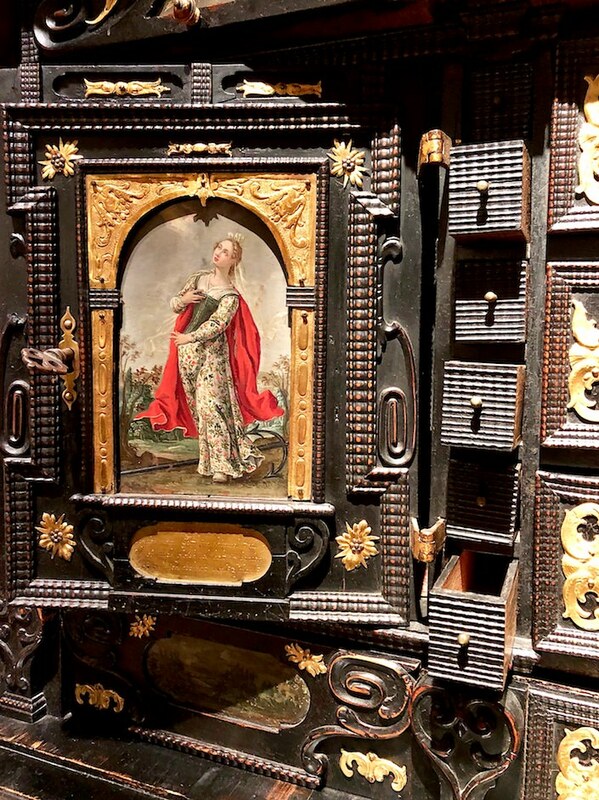 This is just a tiny taste of what TEFAF New York Fall has to offer. 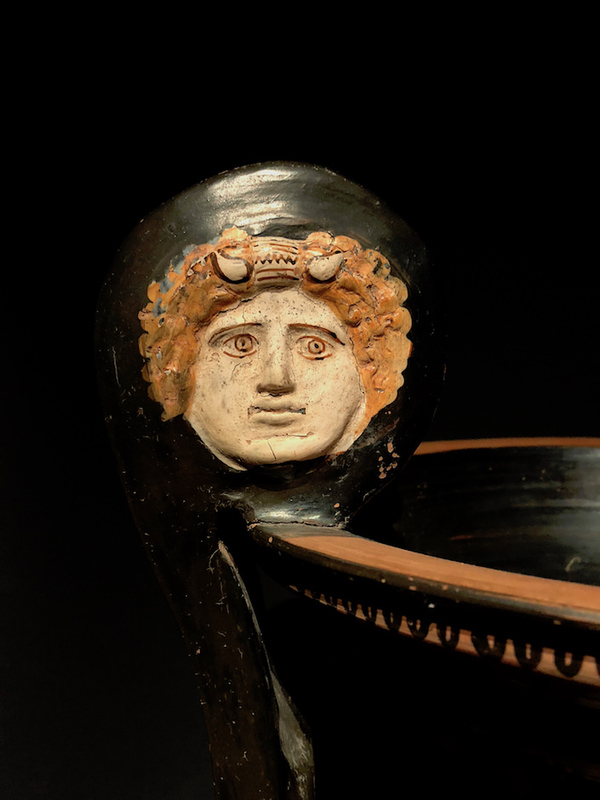 Stop back next time to see more from this incredibly impressive show including paintings, jewelry, decorative arts and more. This entry posted in art, furniture, interior design. 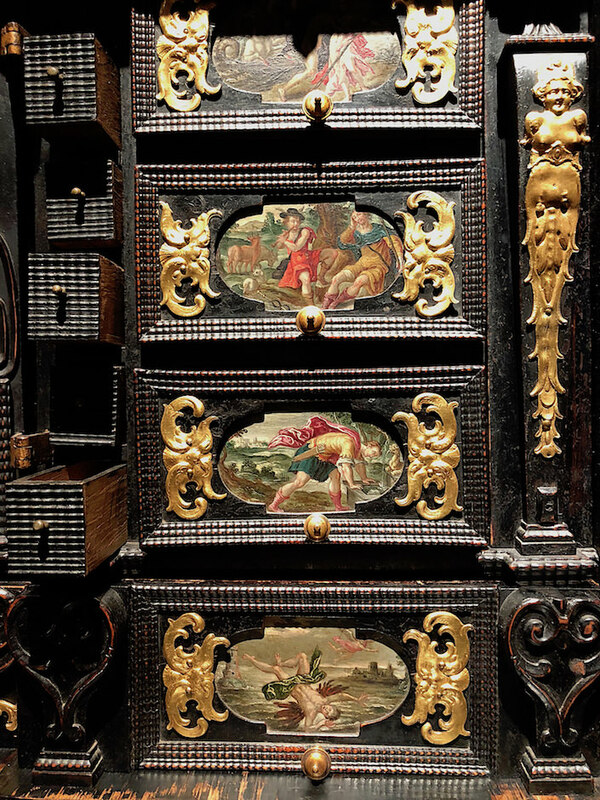 Entry Tags: antiques, art, decorative arts, Park Avenue Armory, TEFAF Bookmark the permalink. 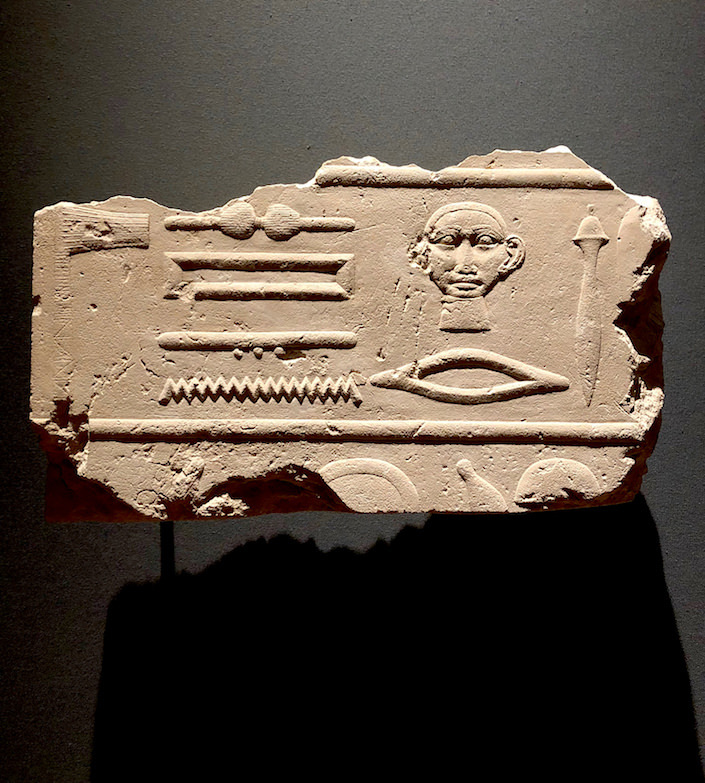 Thanks for sharing these absolutely stunning artifacts. What a fabulous event! 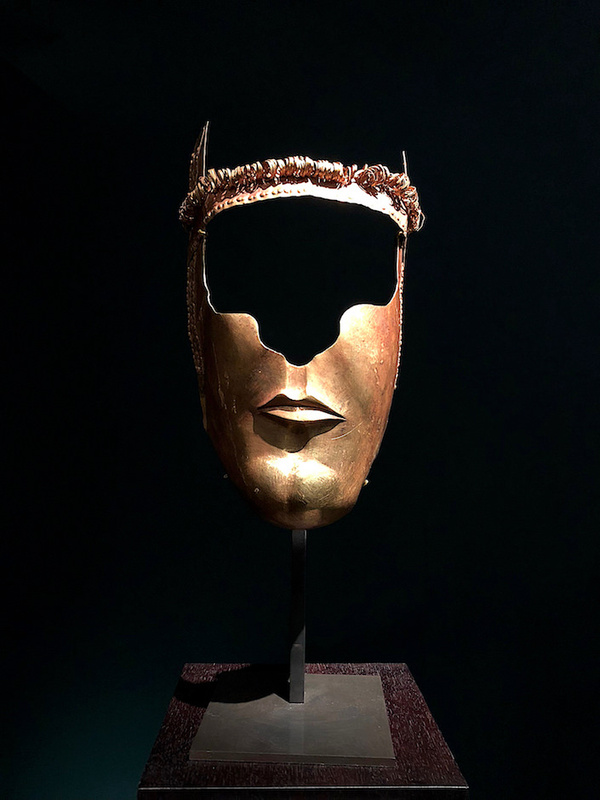 These are all show-stoppers–I think the gold mask is my favorite. So modern in feel. 81 queries in 0.634 seconds.